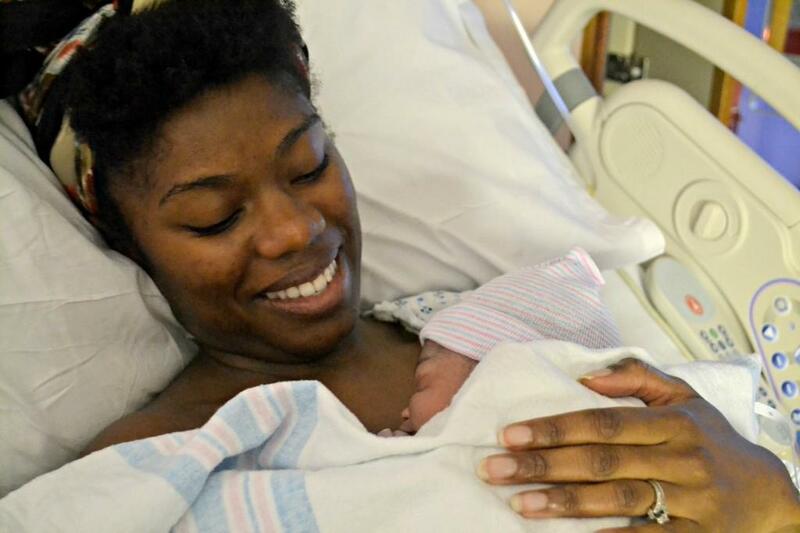 There is so much about my first baby birthing experience that I have totally forgotten about. It has been almost a decade, so I guess that’s to be expected. Still, you would think I’d be able to recall a little more about one of the most important days of my life. To be fair, there wasn’t anyone taking pictures in the OR when I was having my c-section, so it makes sense that I wouldn’t remember that. In the recovery room afterwards, I was so out of it that my thoughtful family refrained from snapping pics. 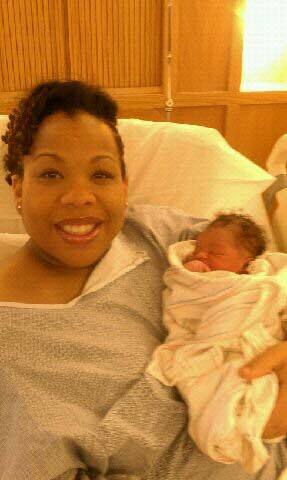 Once I moved into my regular hospital room and visitors started to arrive to meet my new little bundle of joy, folks pulled out cell phones to take low resolution pictures (remember, this was 2009), and Ayva’s godfather brought his camera. I’m thankful for the opportunity to look back at that sweet time and remember all of the love that was in the room on that day. Oh, and to remember how crazy my hair looked. Y’all, I looked a hot mess! As much planning as I did to prepare for Ayva’s arrival, I never even thought about making sure my hair was looking cute so I could look good in pictures. I know, I know. How vain of me, right? I. Don’t. Care. If I’m going to be in pictures, I want to look good! This time around, I’m thinking ahead, planning my hairstyle, and hoping that my hair is twisted when I finally go in to give birth to my little boy. I love having natural hair, but it’s absolutely not the easiest option. Us naturalistas have to create a schedule for our hair to make sure it’s moisturized and styled. We have to make sure we pack our silk scarves or pillowcases, and remember our oil. 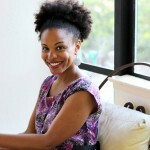 Natural women don’t just go to the hospital to give birth without thinking about our hair. 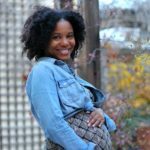 I asked some of my favorite naturalistas for ideas of what to do with my hair in a few weeks when I become a mom times two. 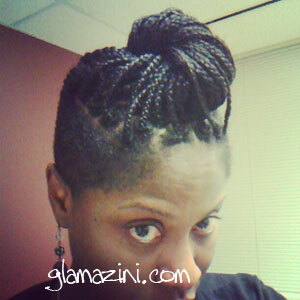 By far the most popular of all baby having hairstyles, braids and twists definitely seem like the easiest option. I’ve been trying to keep my hair twisted in 2 strand twists in the event that I go in a little early. Of course, the last week or so I’ve been too tired to twist my hair up, but I’m hoping I get my energy together soon because I do not want to look crazy this time around! Roshini from Glamazini finished her braids at the exact right time. She ended up going into labor the day after she finished. Katrina had her hair braided on the side and a curly mohawk at the top. Karen had Sengalese twists that looked really great. Now, my hair was kind of straight when I gave birth the first time, but not really. Nae went to her hairdresser before going to the hospital, and I have to say…that’s not a bad idea! The best part about having your hair straightened is that you can wrap it, put a scarf on, and pull your hair down when you want to take pictures. 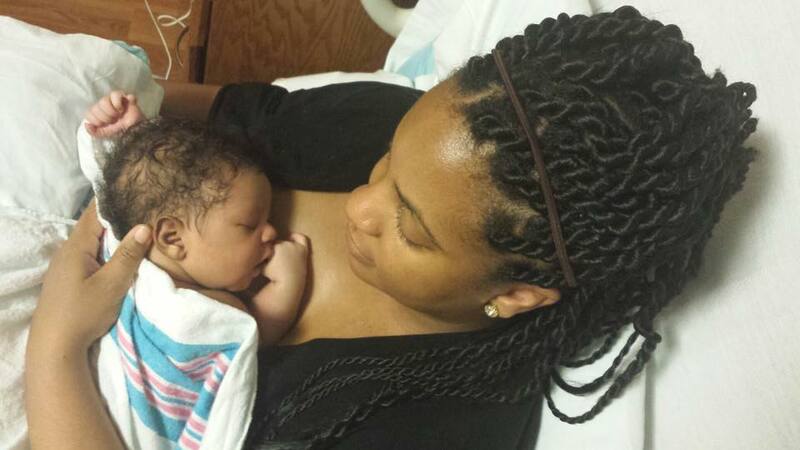 Amiyrah wore a colorful scarf when she gave birth, which I think is brilliant. In addition to my 2 strand twists, I plan to bring a few scarves with me, too! 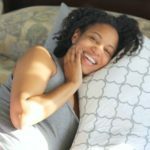 We had a conversation about natural hairstyles when giving birth on my Facebook page. 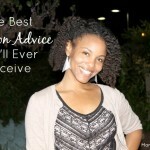 Bernetta, Michelle, Kim, and more shared ideas about ways to look cute while having a baby. Join the conversation! Such a cute post! I love the pics of the moms with the different styles! So cute hairs. Its my wish when will my baby born then My child’s hair is like this.